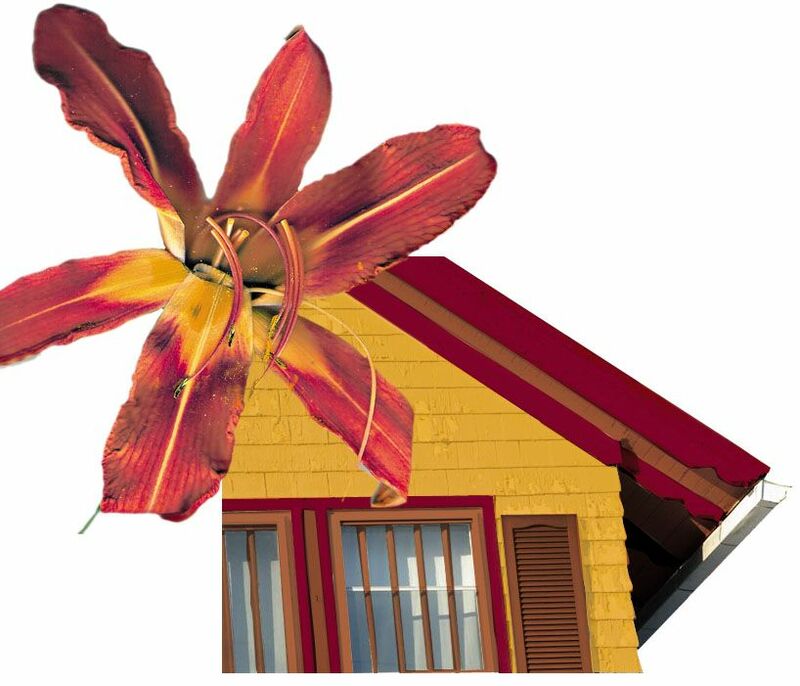 Last Summer we painted our 100+ year old house and chose the colors of daylillies as the color scheme. The yellow is called “laughing orange”, the deep red is called “Roycroft Red” and the orange is “marquee orange”. It makes us smile every time we come up the hill. 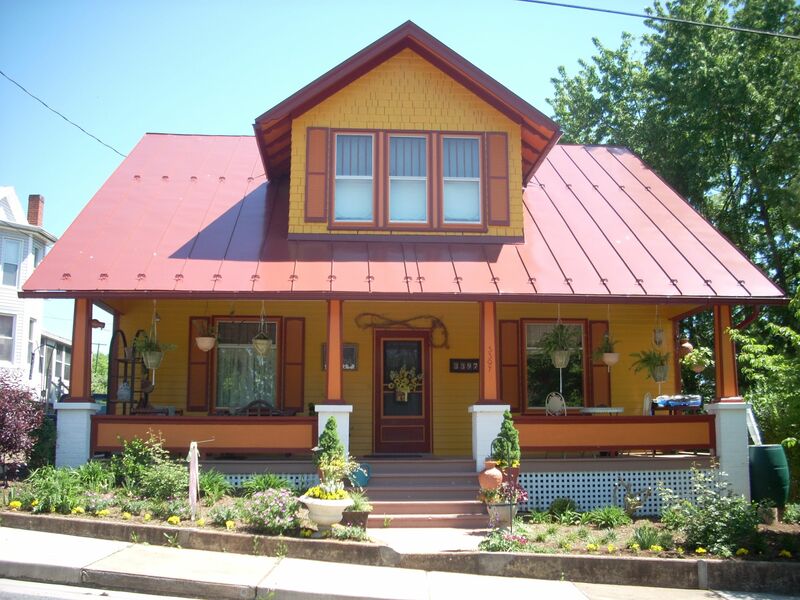 Susie Morgan Wilburn • This entry was posted in I have too many hobbies and tagged craftsman style, house colors, laughing orange, marquee orange, roycroft red, toms brook. Bookmark the permalink.